This is the USH daughter board with Power Button and Windows Home button; for the Latitude 5285 Tablet. This part number is compatible with 5825 tablets that do not have the optional fingerprint reader or NFC reader. NOTE: This USH board is for 5825 systems that do NOT have the optional fingerprint reader or NFC reader. Match your part number or contact us if you're not sure which daughter board to select. 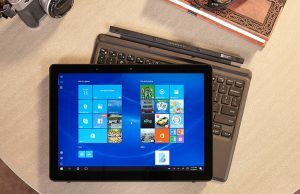 We have made the installation of your Dell Latitude 5285 2-in-1 Circuit Board a simple DIY project. Just follow our step by step instructions. We have written and video installation tutorials available. Save time and money by doing your own Dell laptop repair.